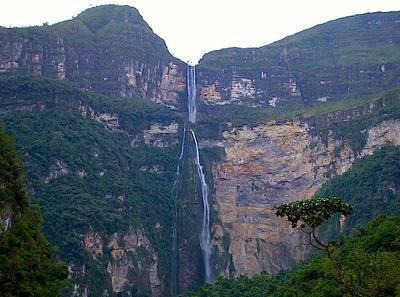 (though, as per point below, there is an argument that it is actually the tallest waterfall in the world, rather than Venezuela’s Angel Falls). The combined total drop of its five distinct free-leaping falls is 948 m (3,110 ft). At the right time of year, they are easily visible from the main road into the park, especially after a heavy rain. 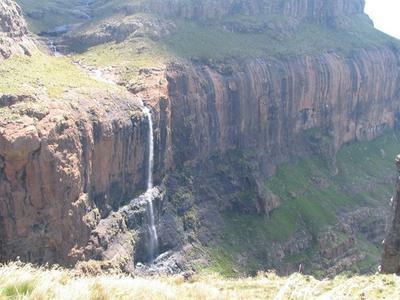 The source of the Tugela River (Zulu for ‘sudden’) is the Mont-Aux-Sources plateau which extends several kilometers beyond The Amphitheatre escarpment from which the falls drop. I have been to both the top and bottom of these majestic falls, and they have been accurately measured and mapped. There is recognized hikes to both top and bottom. 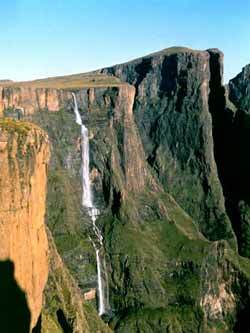 this is a claim that cannot be made by the Angel Falls, and I would really like that to be done.